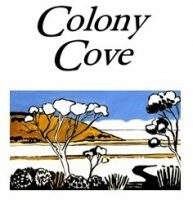 Colony Cove Ciders use specially selected apples from a range of cider and dessert apples grown on our Kangaroo Island property. The ciders are made by crushing and pressing fresh apples to produce juice and then fermenting the juice using natural and added wine yeasts. The fermentations are carried out slowly, at low temperatures, to retain delicate natural fruit and fermentation characters.